Note: Probably my favorite role in all the world is being a big sister. I am incredibly proud of my siblings and how they desire to serve The Lord and love others around them. So, I thought I would let them share here on my blog. Many of you reading this probably have known our family a long time and followed us through the years, but perhaps not! I hope you enjoy hearing from my siblings through the next few months. First up- my sister next-in-line, Beth. 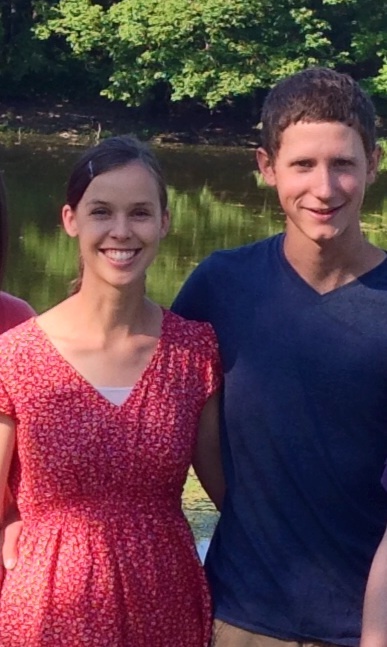 She and her husband, Ben, are heading overseas soon to share the hope of Jesus. Their first baby is due in early November! Areas of weakness are not areas of certain failure. They are areas of potential growth – AND, amazingly, areas where God can make His power known. I doubt sometimes. I just stop and my shoulders drop and I think, yikes, why in the world am I doing this? God, You know who you are asking to go out into Your harvest field, right? This woman, this shy, quiet, reserved, timid woman…who isn’t assertive and isn’t bold and isn’t good at building relationships and isn’t abundantly qualified. Me, God? Really, You want me to go? I don’t like looking at those areas where I struggle, the weak points. Of course not, but how important it is to understand those weaknesses! Not so I’ll feel bad or doubt God or give up. But to say – God, will You challenge me in those areas and bring growth? Not to say I’ve failed before I even got started. But to hear Him say – Remember, daughter? I use the weak things and low things and despised and foolish things so that ALL the glory and ALL the boasting is in Me. So that My power is revealed. Isn’t that my heart’s desire anyway? Having it pointed out that I’m not perfect, that I’m not the most qualified or experienced…should make me glad. Overflowing with thankfulness for God’s immense and lavish grace, that He is my adequacy, and that through those weaknesses His glory can be seen and known. My soul went after Him. I rose and followed – that was all.